This week, we will be sharing recipes for your slow cooker (aka crockpot). I don't use my crockpots (yes, I have more than one - a 4 qt., 6 qt., and a little dipper) nearly enough. The house smells great and dinner is so simple when I take the time to put it in early in the day. One lady took slow cooking to a whole new level in 2008 and has continued to provide recipes suitable for the crockpot ever since. Her family is gluten free which means that all of her recipes can be made gluten free. You can check out her site A Year of Slow Cooking for many, many recipes. I have adapted two of her recipes for vegetable side dishes for today's edition of market fresh! There is also a Crock Pot Recipe Link Up over on Smockity Frocks today, so check out that site for another list of crockpot recipes. Use a 4 quart crockpot for best results. 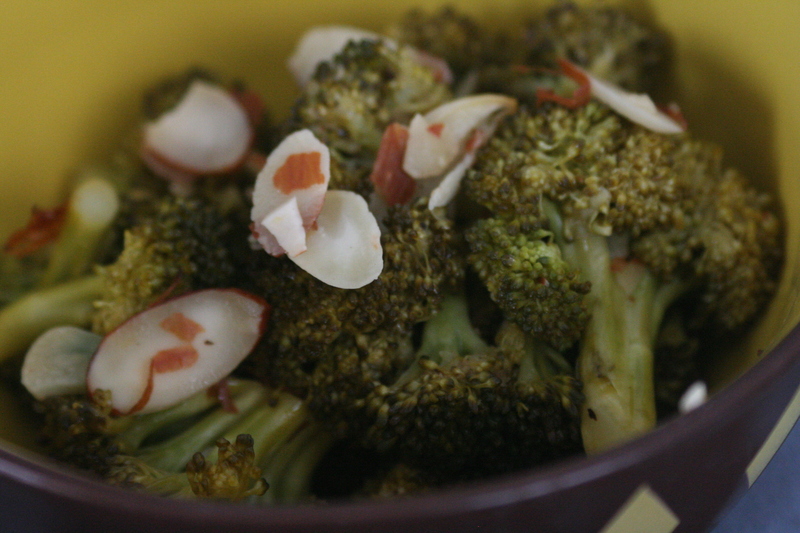 Wash and trim broccoli, and add to crockpot. Peel garlic, and add with salt and pepper. Add almonds. Squeeze lemon juice evenly over the top and add lemon zest. Toss with wooden spoons. Cover and cook on high for 2 hours, or on low for about 4. This is finished when broccoli has reached desired tenderness. 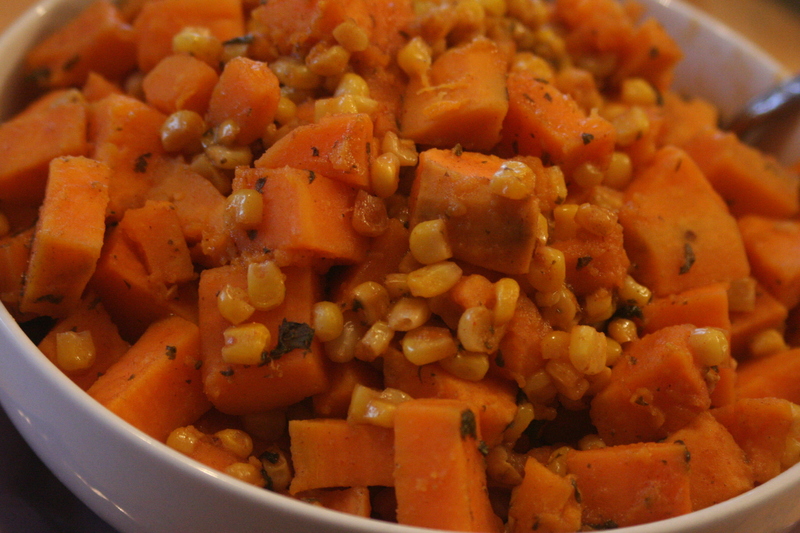 Place sweet potato into the crock. Add diced onion, drained corn, and fresh cilantro. Sprinkle in the chili powder and salt. Squeeze the limes, and then toss all ingredients together. Cover and cook on low for 5 hours, or on high for 3-4. This is done when the potatoes have reached desired tenderness. Serve with chopped fresh cilantro sprinkled on top. Great use of the slow cooker! Thanks for posting these. I use my crock pot all the time, though most of the recipes I find are stews or soups.